Describing herself as a “professional enthusiast,” Ana Montiel is quite a Renaissance woman. physics, the Bauhaus movement, Maya Deren's experimental films or Jung's Red Book. and having a daily life full of experiments that often become more than that. learning permaculture and ethnobotany which she puts into practice in her own garden, and so on. “There’s always something exciting to learn and try”—she says. 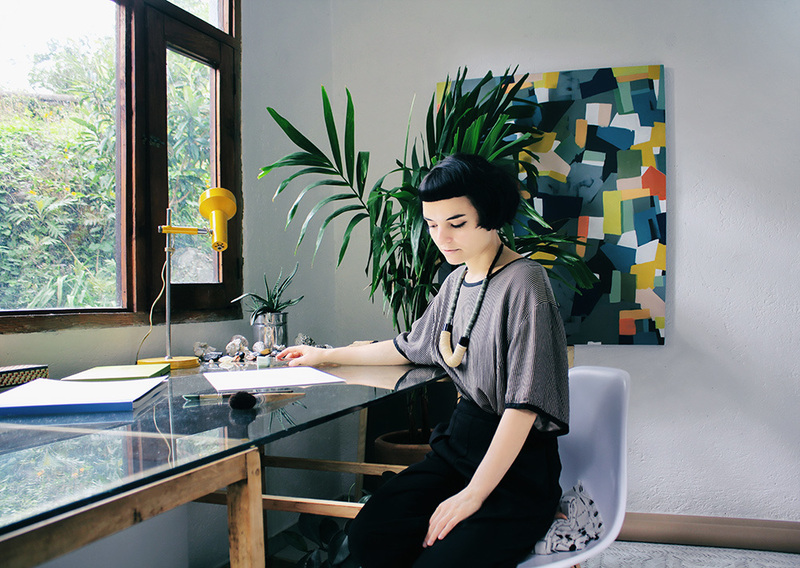 After spending most of her life in Europe—Logroño, Barcelona and London respectively— she decided to embark on an spiritual and artistic quest moving to Mexico. At the moment she divides her time between Tepoztlán-a UFO-friendly village in the mountains of Mexico-and her expeditions to the rest of the world.